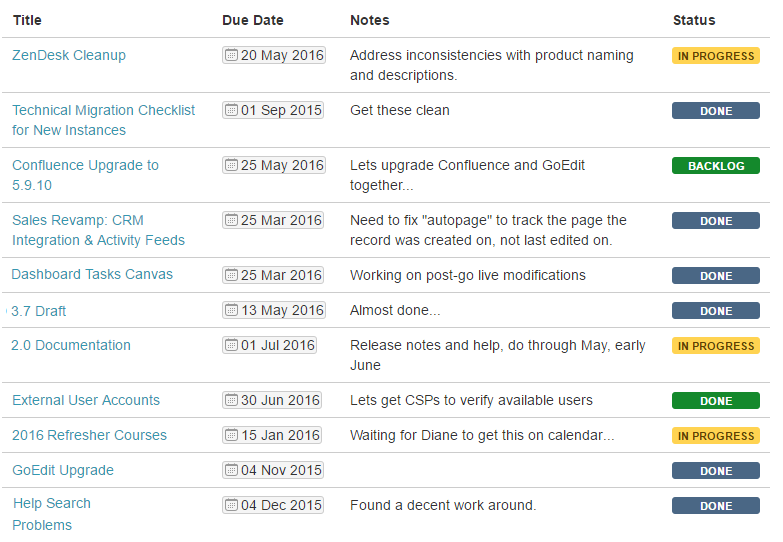 One of my favorite tools in Confluence is the Page Properties report. It’s a simple macro that comes with Confluence out-of-the-box, and it allows you to create dashboards with live views of your content. When you buy Confluence, you’re buying a powerful knowledge management system. Confluence provides a platform for users to collaborate, and it ships with dozens of plugins that let you structure and report on your flexible content. By following the process outlined in this blog post, you can see how to use out-of-the-box Confluence add-ons to create templates for each of your project documentation pages, along with a dashboard that displays the status of your projects. I’ve documented my process with setting up a “page properties architecture” below. This template is referenced by reporting macros and creation tools. Confluence Administrators navigate to the the Global Templates and Blueprints page, and then click Add Global Page Template. Add other template information to the page. 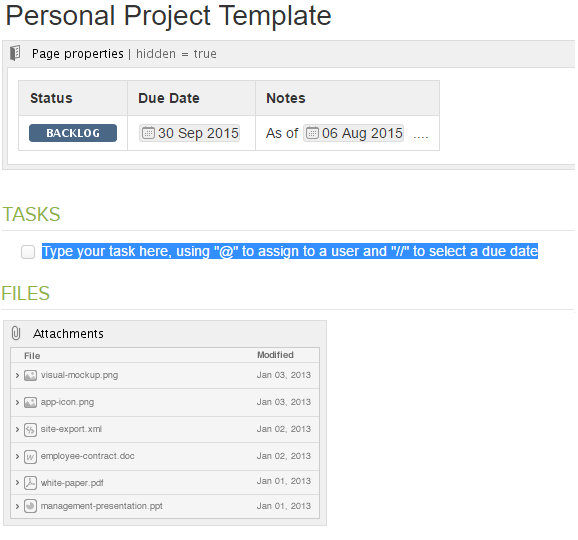 Add a “projectpage” label to the template. This button lets users quickly create a new page based off the template in step 1. 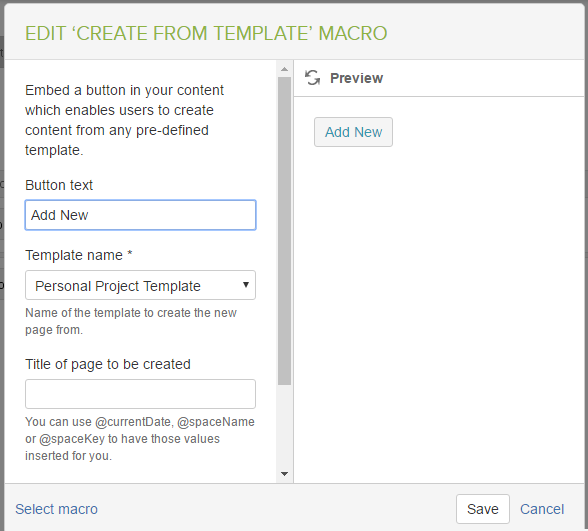 Use the Create from Template macro to add a “Create New Project” template. Rename the button to “Add New Project”. Below the Create from Template button, add a page properties report. This shows live data from all pages using the template. Add a new Page Properties Report macro. Reference the label you created in step 1. Choose to make any other modifications to the macro. When complete, you’ll have a dashboard that shows live data from across your Confluence environment. You’ll also have standard views of all of your project pages. Feel free to repeat this process as many times as you see necessary, just change the label in Step 1. You can always read Atlassian’s documentation on Page Property Reports. Also, Fringe Technology can help your organization turn Confluence into a knowledge sharing powerhouse. Contact Us with any questions.